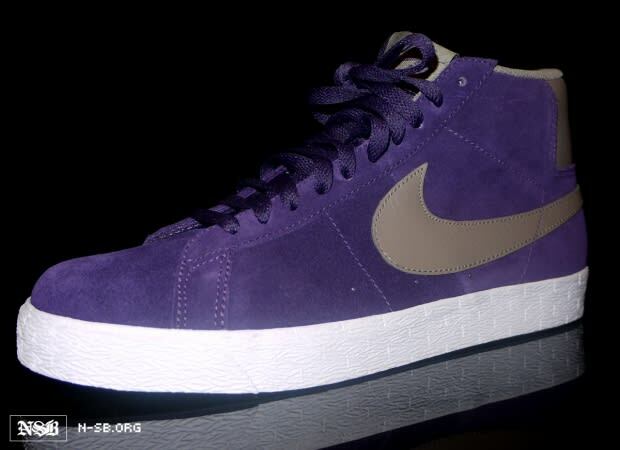 Hitting retailers for the Spring 2012 season, the classic Nike SB Blazer will take on a purple upper with a khaki-colored Swoosh. Instead of the old school classic leather this pair is done up in all suede and sits on an all white sole. Hopefully more suede hits the Blazer for the release in the spring.